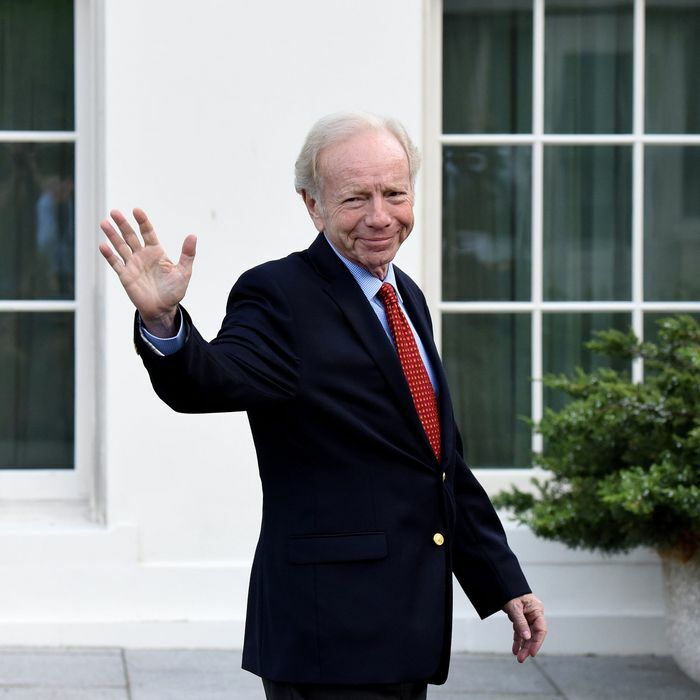 Last week, when reports first emerged that the White House had shortlisted four candidates for the job of FBI director, Joe Lieberman’s name got the most attention. Not just because he’s a former senator and vice-presidential nominee with bipartisan bona fides and loads of political baggage, but because he currently works at Kasowitz, Benson, Torres & Friedman, a New York–based law firm that regularly represents President Trump. That potential conflict was made even clearer Tuesday when it was reported that Trump has hired Marc Kasowitz, Lieberman’s boss, to serve as his private lawyer on issues related to the Russia investigation. A day later, in a rare acknowledgment that conflicts of interest actually exist, the White House has reportedly nixed Lieberman’s name from its list of potential FBI directors and is restarting its search from scratch. It’s a search that may take longer than expected to resolve since no one appears to want the job. So far, at least a half dozen potential FBI directors have removed their names from the running.